Has your child ever come home from school sad because there is someone who is making his life miserable? Other than the teacher that is. We’ve all been there, haven’t we? It is so painful to see our kids in pain. And sometimes all we want to do is rescue them. Social dynamics can be hard – not just for kids, but hey, even for adults. Let’s face it. We are going to face people who are not so nice all throughout our lives. My guest today is on a mission to change the bully-proofing conversation – to incorporate empathy, get rid of the victim mentality and empower our children to deal with others in the way they’d like to be treated – with kindness and respect. 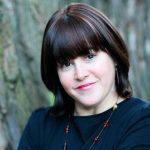 My guest is Rivka Fishman – she is the creator of the training for parents and educators, Bully Proofing Your Child and the Author of the newly released book, Sara the Bucket Filler. This is a must listen to episode, as Rivka has a super important message to share with parents, educators and children. Rivka has been in Jewish education for seventeen years, teaching fourth grade and middle school. She is the mother of six children, and seeing the dynamics among her own children, her students and her friends’ children, made her start exploring the topic of “bullying.” Unfortunately, she found that the conventional methods were not getting to the root of the problem. Order your copy of Sara the Bucket Filler here and get $1 off your purchase with the code JLP at checkout!